23andMe has a $60 million contract deal with Genentech to provide data for Parkinson's research. A human genome in 2001 at the American Museum of Natural History in New York City. 23andMe, the company that offers personalized genetic reports from a spit swab for $99, has had its ups and downs. It had to stop providing health-related reports to customers after the FDA called its product out as an unapproved medical device. And questions have always swirled about its business plan. Would selling $100 spit swabs be enough to generate real revenue? Apparently not, because 23andMe now has a $60 million contract with biotech company Genentech to provide aggregate genetic data for Parkinson’s research. Forbes reports that 23andMe has a total of 10 such deals in the works. Genentech will pay $10 million right away and up to $50 million as the project progresses. It’s a bold move, but not exactly surprising. When 23andMe officially launched in November 2007, VentureBeat wrote, “To put it bluntly, the real money is likely to lie in selling corporations—specifically, drug companies—access to the aggregate genetic information 23andMe amasses from its customers.” In the era of big data, it would be, frankly, strange to sit on a mountain of valuable genetic information and look at it only internally. As with any type of for-profit service that collects personal data, there are pros and cons to participating. One pro is receiving what is essentially subsidized access to services like genetic testing that might otherwise be out of reach. The data is presumably more valuable to the company in the long term than the cost of discounting a spit swab test. 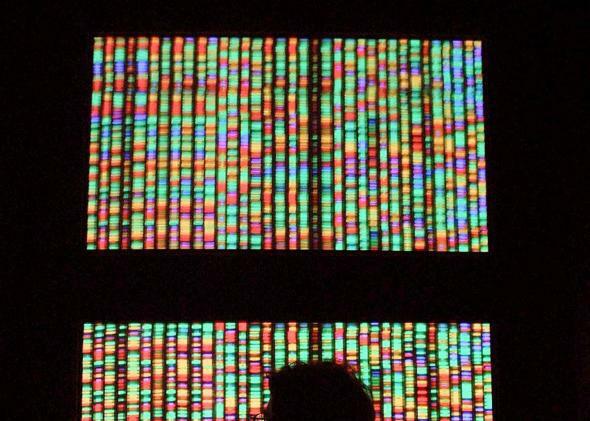 If 23andMe has your genetic data, it’s selling a big part of you. The company explains that it dissociates identifying customer details from genetic information and stores the two types of data on separate servers. For the Genentech project specifically, participants will sign an additional consent form. The spokesperson said that, on average, 23andMe customers who consent to have their data used in research end up being a part of more than 230 studies. Which, wow.